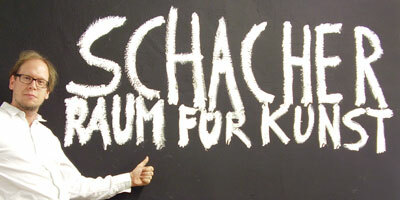 Welcome to the homepage of the gallery “Schacher – Raum für Kunst” at the Galerienhaus in Breitscheidstraße 48, in the heart of Stuttgart! The exhibition "Jürgen Palmer - Spiegelbilder" starts on Friday 25th May 2018 and runs till 21th July 2018. “Courage comes at the beginning of action, happiness at the end”, Democritus is said to have uttered. I have recently begun to hear the word “courage” more often, namely when I explain that I am opening my own gallery. After nearly five years as a permanent employee at Galerie Schlichtenmaier and numerous large-scale independent projects I have found the “courage” to become – as it is so beautifully called – self-employed. The exhibition programmes of the three Galerienhaus galleries complement each perfectly.